My name is Clive. I am 38 years old and I was born and raised in London. 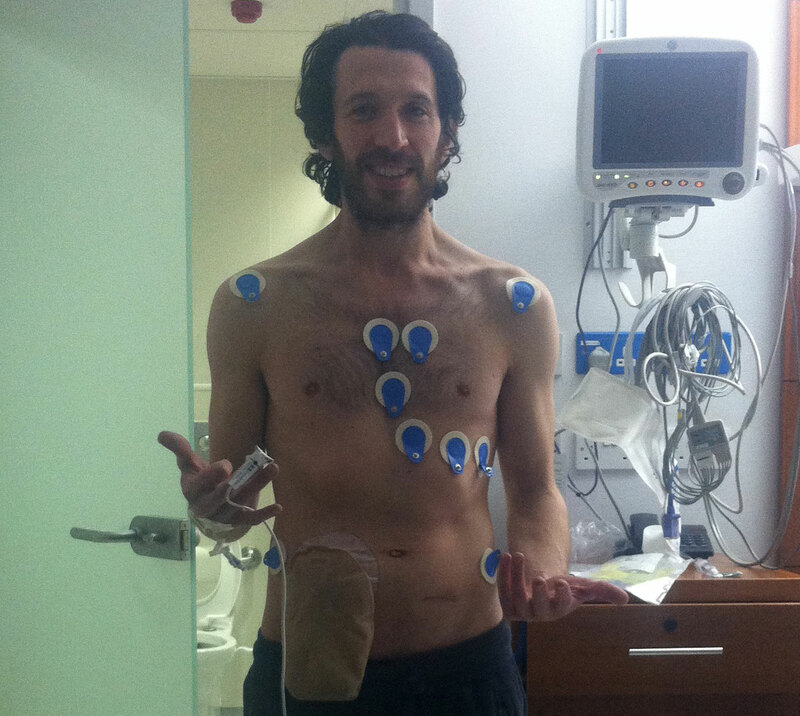 I was diagnosed with Colorectal Bowel cancer August 2013 and had 4 major surgeries in 5 months. I am currently in remission. I was really distraught and shocked when I found out. I had only just started rebuilding my life after the death of my parents so it felt like another huge blow. It is a rare cancer to be diagnosed with in your 30’s and until then I had been in good physical health. I was eating a balanced diet and was exercising regularly. As a yoga and meditation teacher and practitioner I was trying to live mindfully and looking after myself. It was a big shock to realise that a tumour could have been growing inside me for several months without realising. At the same time, as the days, weeks and months passed it also became a very humbling and enlightening experience. I took the opportunity to really practise self-care and live with more balance in my life. I try to take learnings from all experiences and there have been many profound insights from my journey with cancer. The prospect of an underwater shoot with Erena was very exciting. I had seen Erena’s work previously and was completely mesmerised by it. Her photography resonated with me on many levels. I also thought the underwater experience with Erena would represent a significant part of my healing process and was intrigued by its creative and transformational potential. 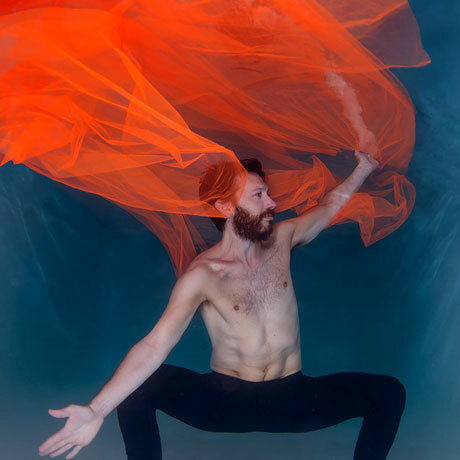 Being a yoga and meditation teacher, we thought it would be really unique to create yoga and meditation poses under water. It is not something I have done before. I was also really attracted to using colour as I often integrate colour in my meditation experiences. Healing is a significant element of my teaching and personal practise and I also find water a very healing space, so the opportunity of exploring the two together was very appealing. They have great synergy. I definitely felt a combination of nerves and excitement before the photo shoot. I didn’t have a lot of experience of staying underwater so I was unsure what it would be like, but the experience was absolutely exhilarating. It was challenging to stay under water at times but I really loved it. I felt very liberated expressing myself underwater and I enjoyed exploring both stillness and movement. It was great having my wife, Isabelle in the pool too as she has been such a huge support in my life and big part of my recovery. In the days after the shoot I found myself reflecting on the balance between letting go in the moment while also digging deep to confront a challenging experience. 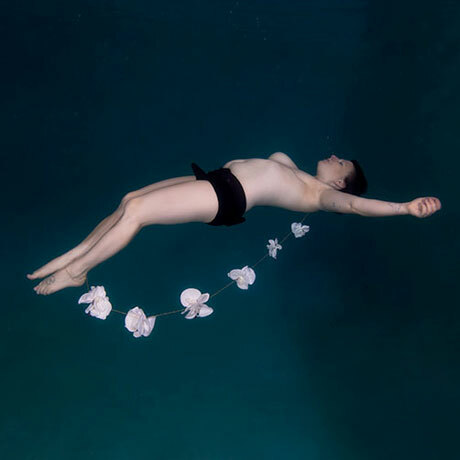 The feeling of surrendering when underwater reminded me of the way I surrendered into the experience of cancer. Fighting and resisting the water can use up a lot of energy and make the process more difficult. When I was facing surgeries and all the implications that came with it, I invited myself to let go and not waste my energy in resisting the situation I found myself in. Instead I tried to conserve my energy and use it for deep nurturing and healing. I also found myself thinking about the courage and determination I needed to connect with during cancer and how I had to tap into aspects of that to go underwater and remain there. My sign is cancer which is associated with the element of water. I have always felt very at home in water and whenever I am near water I feel the urge to immerse myself in it. In my yoga practise and in life, I am very attracted to fluid and flowing forms. When I am in water, I feel a sense of clarity and deeper awareness of myself and the world I am part of. 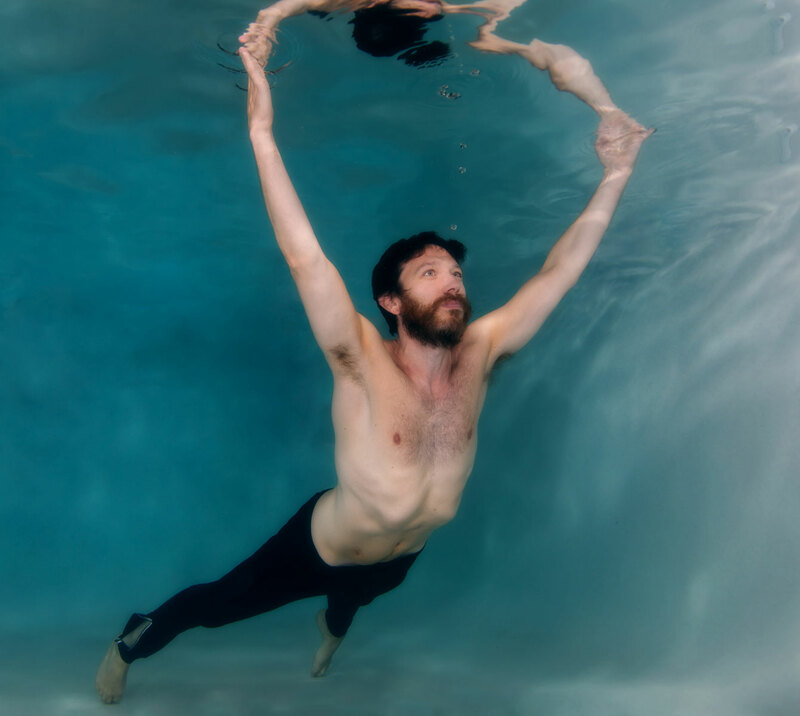 During the underwater photoshoot, I deeply resonated with moments of complete stillness which has beautiful parallels to yoga and meditation. There is a moment as you let the breath out of your body and sink to the bottom of the pool where you can find a sense of really being very present which I also connect with in meditation. 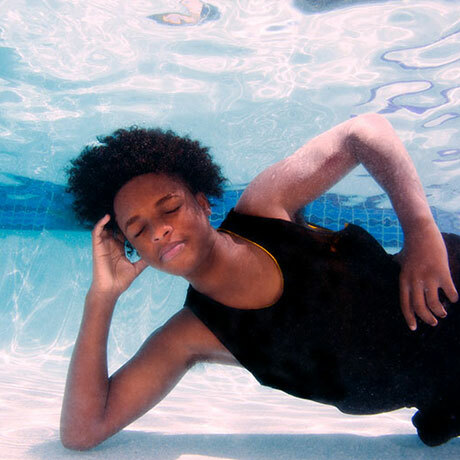 In that sense, the underwater portrait session was a deeply meditative experience. I felt really joyful after I finished and absolutely exhausted too! Staying underwater and holding onto my breath was really tiring but I also felt peaceful and serene. It was a transformational experience that rippled through me for several days and provided great waves of inspiration. I also slept quite deeply the night of the photo shoot, perhaps deeper than usual. I think partly this was because I was tired after the shoot but perhaps there was also a deeper willingness to let go within my sleep. I would certainly recommend this experience to survivors and anyone that is interested in a profound experience which offers deep potential for healing and transformation. It is extremely creative and lots of fun! Erena was an absolute joy to work with. She had great enthusiasm and was extremely supportive. Her guidance was really clear, she was really professional and made me feel very comfortable. I really enjoyed being part of the creative and collaborative process with her. Thank you Erena for such a special and memorable experience. I will never forget it.